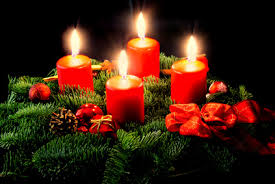 A big part of the Christmas celebrations in Germany is “Advent”. Advent is the time, the four weeks, before Christmas. Several different types of “Advent calendars” are used in German homes for the children to wait for Christmas Eve, for example 24 decorated boxes or bags. Each box or bag has a little present or chocolate in it. Every day the children open one door, bag or box. 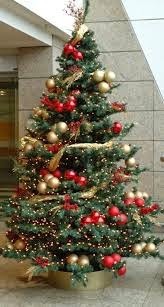 It’s begins at the first of December. A tradition is also the “Advent Kranz”. This is a ring of fir branches that has four candles on it. One candle is lit at the beginning at each week (each Sunday) of Advent. Often wooden frames, covered with electric candles on it, are put in windows to decorate the houses. In the evening you can see this decoration lights from the outside passing through the streets. Another tradition in Advent are the Christmas Markets where all sorts of Christmas foods and decorations are sold. 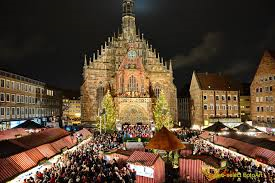 A very famous one is the Christmas market in Nürnberg. December 6th is St. Nicholas' Day and "der Nikolaus" brings some small gifts, such as sweets and chocolate, to the children. He comes in the night between the 5th and the 6th and puts the presents into the shoes of the children, who usually place them by their doors on the previous evening. 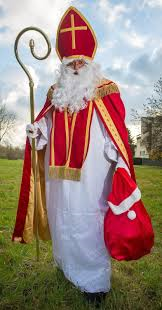 In some regions of Germany, there is a character called "Knecht Ruprecht" who accompanies Nikolaus (St. Nicholas) on the 6th of December. He will punish the children who were bad. He is usually the one who scares the little children. In some parts of Germany, children write to the 'Christkind/Christkindl' ('The Christ Child' in English) or to Santa Claus asking for presents. The Christkind is often described as a young girl or an angel with 'Christ like' qualities. In Nürnberg a young girl is chosen every year to participate in a parade as the “Christkind”. She wears a long white and gold dress, has long blond curly hair and wears a gold crown and sometimes wings like an angel. Christmas trees are very important in Germany. The tree is decorated on Christmas Eve. 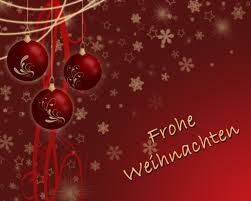 Christmas Eve is the main day when Germans exchange presents with their families. Santa Claus (Father Christmas) or the Christkind brings the presents on December 24th. Before the distribution of the presents the family sing christmas songs such as “O Tannenbaum”, “Ihr Kinderlein Kommet” and “Stille Nacht” (Slient Night). A Christian tradition is to eat only potatoes salad and sausages on Christmas Eve and a big Christmas meal the next day, on 25th of December, for example carp or goose. 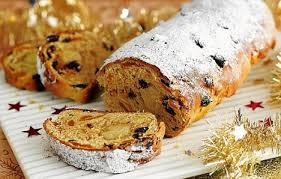 “Stollen” is a popular fruited yeast bread that is eaten at Christmas. 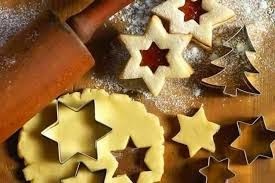 Also „Plätzchen“ (christmas cookies) are very popular. Another tradition is the “Sternsinger” (or star singers) who go from house to house, sing a song and collect money for charity (this is a predominantly Catholic tradition). 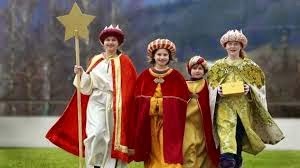 They are four children, three who dress up like the Wise men and one carries a star on a stick as a symbol for the Star of Bethlehem. When they're finished singing, they write a signature with chalk over the door of the house. The sign is written in a special way, so Christmas 2014 would be: 20*C*M*B*14. It is considered to be bad luck to wash the sign away - it has to fade by itself. It has usually faded by the 6th of January (Epiphany). The Sternsingers visit houses between December 27th and January 6th.